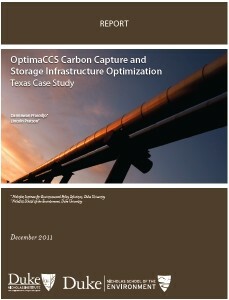 The use of carbon capture and storage (CCS) in the United States will allow coal-fired power generation to remain a major component of the nation’s energy mix while also reducing its carbon emissions. The cost of capturing carbon dioxide (CO2) will affect the deployment of CCS, as will the costs for CO2 pipeline transport and underground injection. Transportation and storage costs can be minimized, however, by optimizing the design of the transport system. 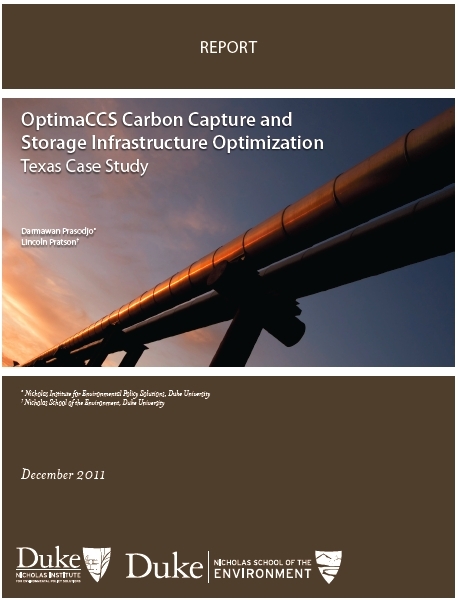 This report examines how a software program created at Duke, OptimaCCS, maps out cost-efficient options for overall CCS network design, including pipeline routes, necessary pipe diameters and lengths, efficiencies from using shared pipelines, and the impact of sequestration costs. Read this publication at Duke Nicholas Institute.